The dog basket has an oval shape and the interior cover is made of high-quality, soft suede. The basket is form-stable and has a snug cuddle edge with foam filling. The mattress is an orthopedic mattress with memory foam / effect. A durable and easy-care leather bottom with anti-slipping properties is on the underside. 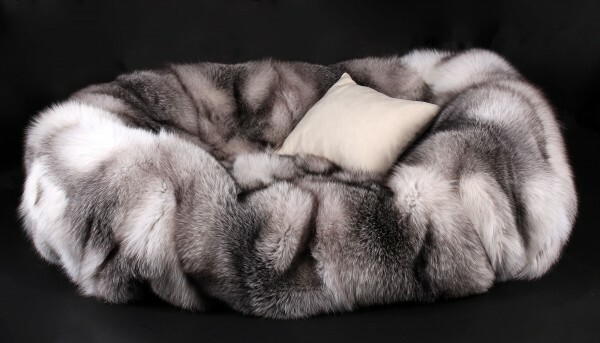 Related links to "Dog Bed from Scandinavian Shadow Blue Frost Foxes (SAGA Fur)"
Customer reviews for "Dog Bed from Scandinavian Shadow Blue Frost Foxes (SAGA Fur)"